Hats off (or should I say specs off) to Evan Spiegel and the team at Snap Inc. As I'm in the UK I've had to witness the buzz around Snapchat Spectacles from a distance, as people try to hunt out those Snapbot vending machines which spit out the $130 wearable. The excitement around Snap's specs has taken me a bit by surprise but it's the best thing to happen to smartglasses at a time when we're still trying to forget about the whole Google Glass debacle. I'll never forget that first moment I spied Google's AR specs in public. Two women shuffled out of a taxi wearing them. It was Glassholes up close. We all know how that smartglass story ended, and now Alphabet Inc has set its sights on taking its AR specs off the streets and into the workplace. It's a fair assessment to say that Glass put a serious dent in the hopes that smartglasses could go mainstream. The challenge to get people to wear the internet on their face was always going to be tall order and Google will be the first to admit that it got a lot of things wrong. 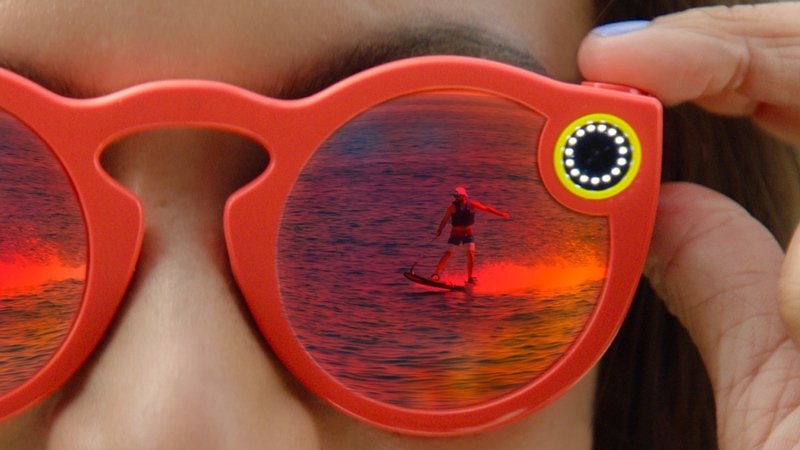 Where will the Snapchat Specs machine appear next? In the absence of Glass, companies like Vuzix and Epson have pushed on with smartglass projects firmly aimed at the enterprise world. Then out of nowhere came Spectacles. A pair of pretty normal looking wayfarers with a camera built in that records 10 seconds of video and can be shared through - surprise, surprise - Snapchat. The marketing campaign went into overdrive, as billboard posters went up and adverts were placed inside security trays in airports across the US. Then the vending machines started to pop up. We've not reviewed the Spectacles yet, our news editor Hugh has been keeping his ears and eyes peeled on when that Snapbot is going to turn up a little closer to home. Judging by the initial responses from those that have got their hands on them, it looks like Snap Inc has pulled off what Google hoped it could with Glass. But why are these smart specs seemingly getting more love? I think there's a few reasons why. For starters, they don't look like they've been dreamt up by a tech company, which is something you couldn't say about Glass. They look like normal sunglasses. Snap Inc has kept things simple, there's just a camera built into the frames and an indicator light to let people know you are filming. There'll still be plenty of people that are not fans of being filmed, but at least they'll know it's happening. More importantly, it doesn't cost an absolute bomb to own them and that's tied to the most important reason why there's a warmer reception for these specs: it already had a very specific user in mind. We're talking about those 150 million active users that already fully embrace Snap's most successful product, Snapchat. Video is a big part of why the social media platform has been so successful and it's just got easier to make those videos happen. There was certainly no need to pander to celebs and tech personalities, because Snap Inc already had its audience. When we spoke to Benjamin Males, co-founder of XO, a fashion tech startup that is making connected clothing for 'Generation Z', the same audience being targeted with Spectacles, he gave us an insight into why Snap's connected specs is getting a lot of positive feedback. "You only have to look at Snapchat and the way Gen Z is using it in ways that the company would have struggled to predict," Males told us. It's fuelled users obsessed with video and capturing every moment, whether that's at a gig or just getting up in the morning, to get really creative about what they're sharing. The arrival of Spectacles will still raise some of the same concerns that Glass was faced with when it was out on the streets. The appeal could well be short lived and who's to say it doesn't go the way of the lifelogging camera? For now though, it's successfully breathed new life into a wearable that we thought we might have to wait some time on before it was back on our faces in public.